Saturday, September 10, was a big day for tree people at Jonah House. We had two groups visiting simultaneously. 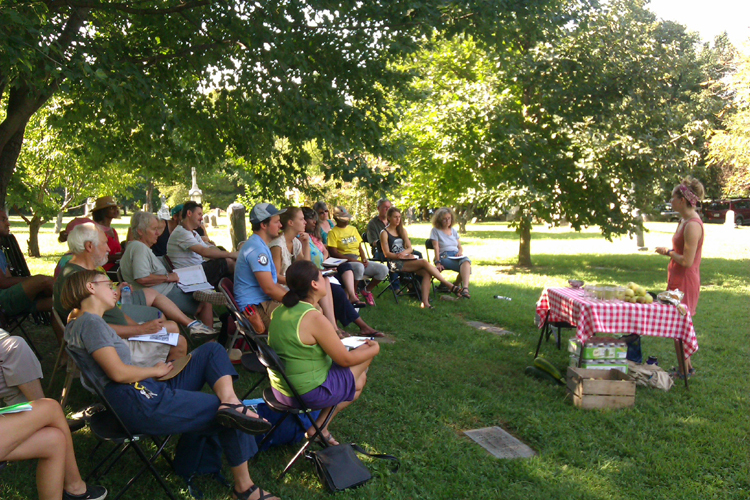 The Baltimore Orchard Project (BOP) had a canning workshop in the cemetery. This was part of a year-long orchard stewardship program that Jonah House is participating in. The canning workshop was entitled “Sharing the Harvest Among Neighbors.” The participants discussed harvesting basics and learned about canning from the Caiti Sullivan. Caiti works at Hex Ferments and now works at Millstone Cellars. She is a canning expert as well as an artist. Caiti was great but our own Emily would have done equally well in teaching a canning workshop. Emily gave me some excellent pointers when I wanted to can (jar, really) some apple juice I had made with my juicer. Now with Caiti’s AND Emily’s help, I’ll be able to take on other canning projects. 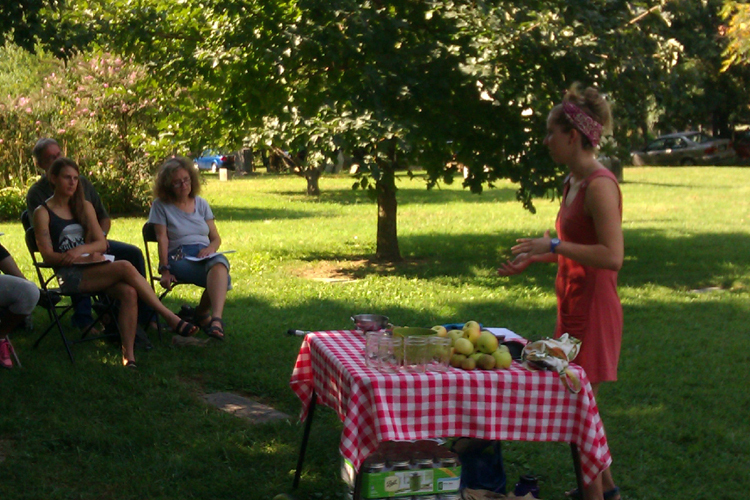 After the canning workshop, Dean Freeman, outgoing harvest coordinator from the Baltimore Orchard Project, talked a little bit about harvesting. He mentioned that the BOP had already hosted a couple of fruit picks at Jonah House (pears and apples). He also said that the Jonah House orchard is a model for what they’re trying to accomplish in Baltimore! Meanwhile, on the other side of the cemetery, the Baltimore Naturalist Network was wandering around our 8-acre forest patch. The host was Charles Davis, from the the Natural History Society of Maryland, and about fifteen folks came out for the forest walk. 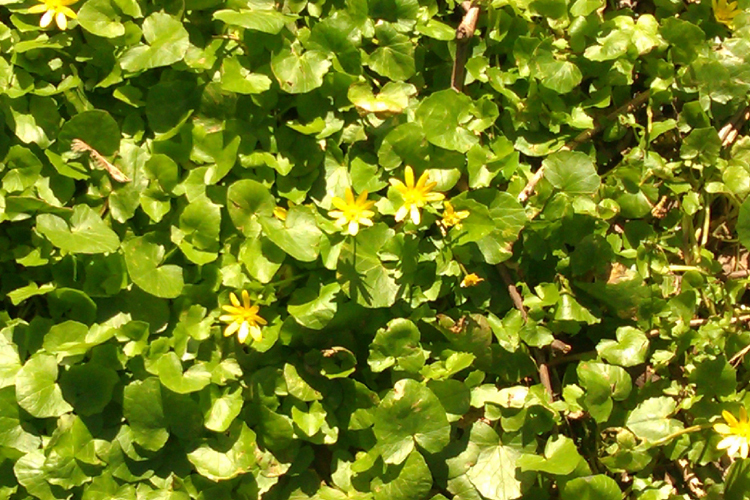 The Baltimore Naturalist Network is part of the Maryland Community Naturalist Network, which is a project of The Natural History Society of Maryland. The Network is attempting to provide nature mentors within walking distance of every neighborhood in Baltimore. 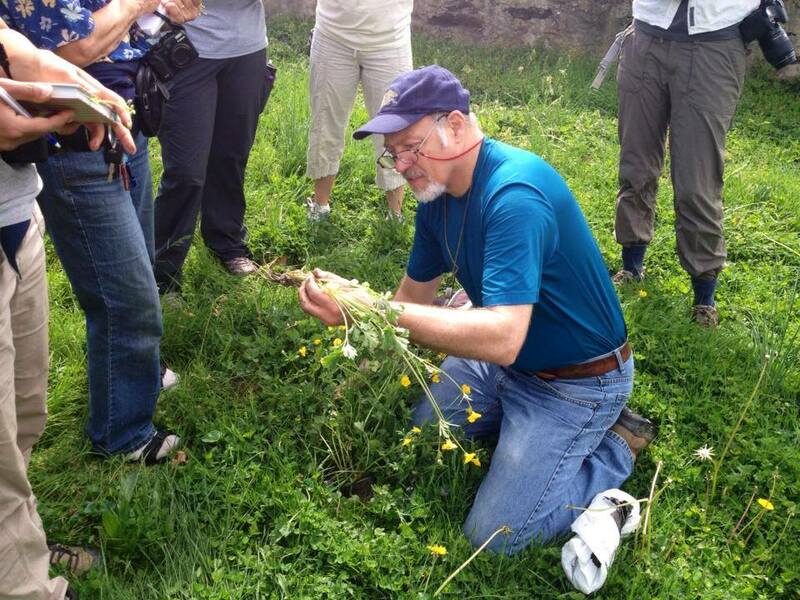 The Network connects participants to a larger community of knowledgeable experts to promote skills of awareness, place-knowledge, and nature connection. Together they explore the nature of our neighborhoods and parks, and share what we discover with those in the neighborhood. We look forward to future visits from the Network.